Location: Sheslow Auditorium, Drake University, 2507 University Ave. 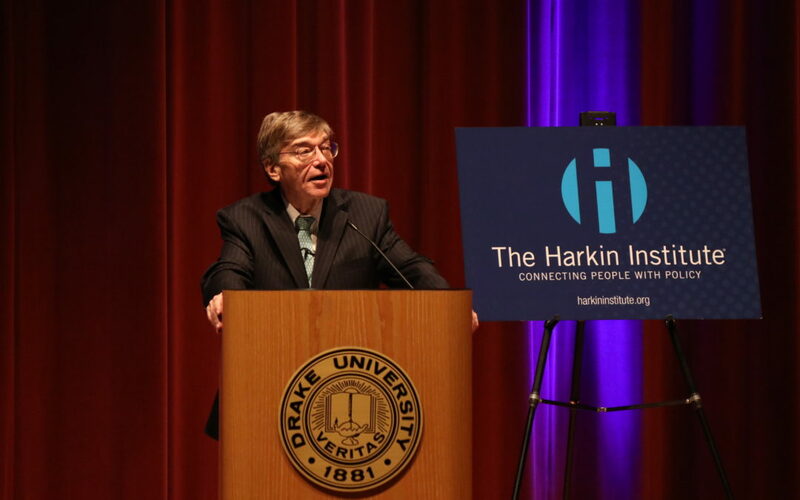 Renowned political analyst Charlie Cook is returning to Des Moines for his annual discussion with The Harkin Institute just in time to answer all of your-post election questions! Cook will share important insights about the midterm election and provide analysis on the state of American politics today. Cook, a political analyst for National Journal magazine, editor and publisher of the Cook Political Report, and member of The Harkin Institute’s National Advisory Council, is widely regarded as one of the most astute, impartial analysts of the Washington political scene. Don’t miss this unique opportunity to gain insight you won’t find anywhere else!